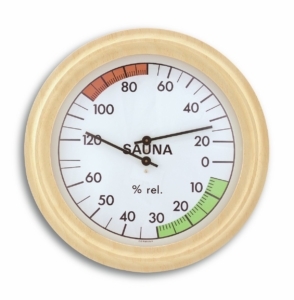 With this combination device, you can monitor the temperature and humidity in your sauna and thus ensure the highest possible comfort. 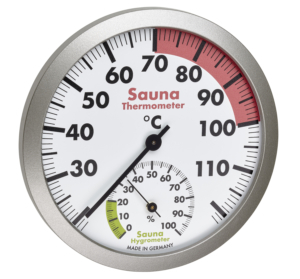 The scale can be read very well, the optimal area is marked in colour. 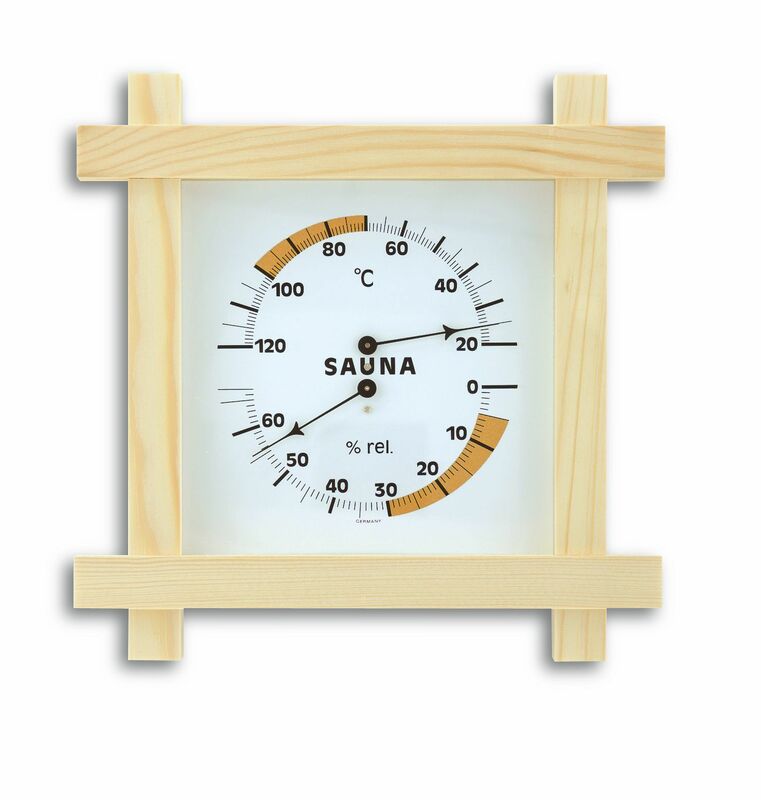 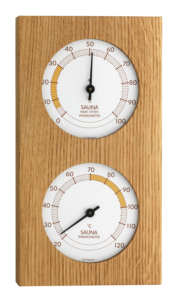 This allows you to quickly see whether the right climate is maintained in the sauna. 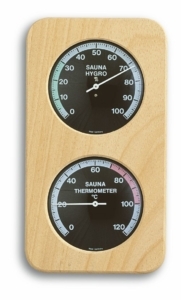 The thermo-hygrometer has a rustic look wooden frame and is entirely manufactured in in Germany. 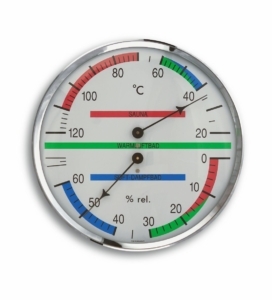 The values are measured with proven bimetallic technology. 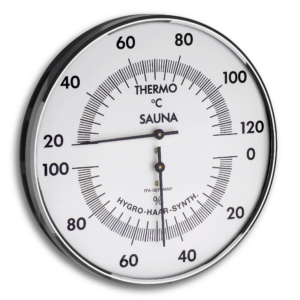 The hygrometer works with synthetic-hair and is therefore very precise.